Although wine making in New Zealand began in the early 1800s, it wasn’t until the 1980s that the world took notice. As I have mentioned previously, the wine that put NZ on the map was Sauvignon Blanc, but lately there have been some very nice 90+ point Pinot Noirs, including this week’s featured wine, from the Wairau River region. When you think of the best Pinot Noir in the world, French Burgundy immediately comes to mind. Some of the most expensive wine in the world is red Burgundy. New Zealand is about as far from Burgundy as you can get, lying southeast of Australia in the Pacific, but is proving to be a rival of Burgundy in Pinot Noir quality on the world stage, but at a fraction of the price. The 2014 Wairau River Pinot Noir, for example, rates 90 points from both Wine Spectator and Wine and Spirits magazine, but at around $20 a bottle. A red Burgundy of similar quality starts at $100 a bottle, at least! What makes NZ Pinot thrive is the maritime climate. You don’t think of tropical islands being able to produce quality wines, but a spine of mountains running through the center of the islands of New Zealand protects the eastern coast from strong westerly winds, and keeps most of the rain to the west. Marlborough, where the Wairau River is located, is very similar to Washington’s Columbia Valley: very dry, very sunny, but moderated by cool Pacific breezes every afternoon and evening. What also makes things interesting is the glaciated soil and clay, resulting in distinctly flavorful grapes with age-worthy acidity, and as a result, robust, complex wines. 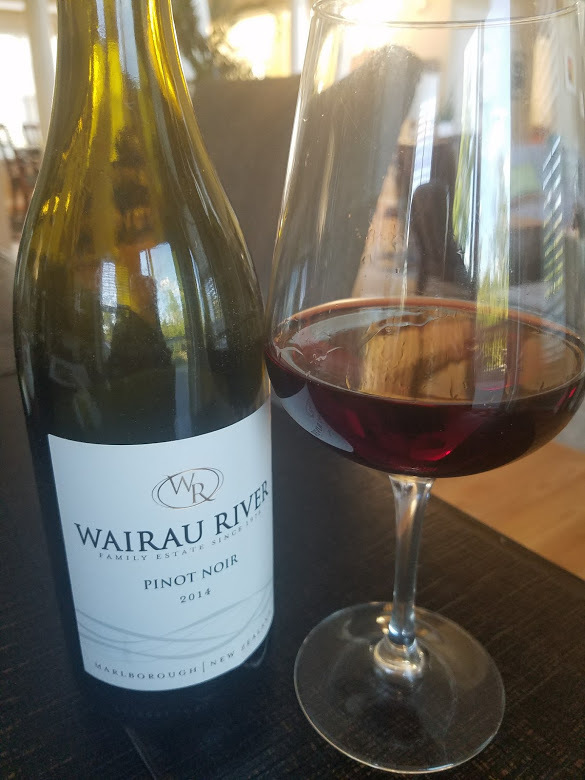 Pull the cork on the 2014 Wairau River (pronounced WHY row, by the way) Pinot Noir and you’ll notice a perfumy nose of cherry and strawberry. This is aged in French Oak, so let it breathe for a few minutes, and watch as juicy tart cherry and light citrus flavors develop, with some plum and raspberry mixed in, and a spiced cinnamon finish. 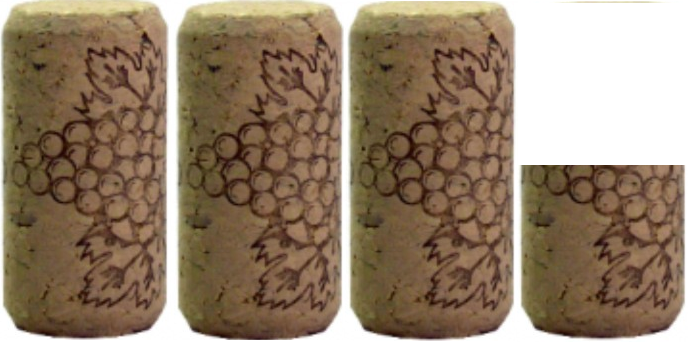 I guarantee the last sip will be much different than the first – you will like this wine. On my five-cork scale based on taste and value, I give the 2014 Wairau River Pinot Noir 3.5 corks! This is a quality wine at a very good price, but at $22, a bit expensive to drink every day.